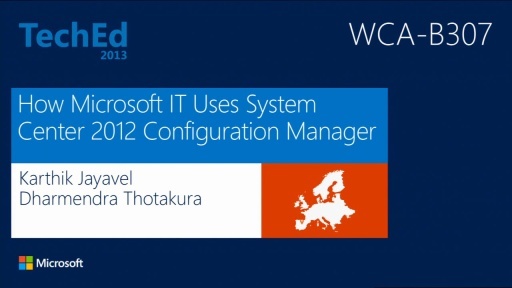 Join this session to learn how Microsoft IT is successfully managing the Application lifecycle in their System Center 2012 Configuration Manager R2 environment with zero touch. Deep technical overview on how Microsoft IT automates LOB application publishing by leveraging System Center Orchestrator, Configuration Manager cmdlets, PowerShell scripts, and Team Foundation Server. This session covers the key stages of the application lifecycle for Windows 8.1, Windows Phone, Windows RT, and iOS – starting with Application object creation, deployment, supersedence, and ending with the retirement/removal of the application object from the environment—all this without the administrator having to lift a finger. Anyone trying to access the Orchestrator runbook from the provided link in the session will fail. There were apparently issues with the source files and password.